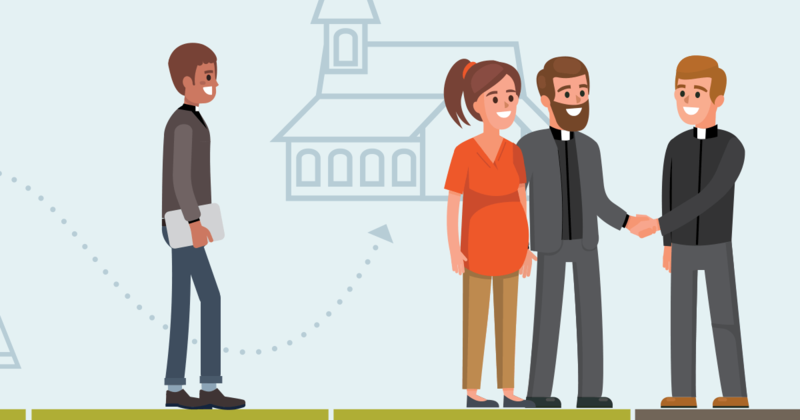 Starting in 2016, every pastor in the LCMS will have an opportunity to begin work on his continuing education portfolio toward participating in qualified continuing education experiences that will enhance his service to the church. The essentials of pastoral formation remain the same throughout the ages: Oratio, Meditatio, Tentatio (prayer, meditation, spiritual affliction and trial). Our two LCMS seminaries, Concordia Theological Seminary in Fort Wayne, Ind., and Concordia Seminary in St. Louis, begin the process of pastoral formation through their Master of Divinity (M.Div.) programs, the most typical route to the Office of the Holy Ministry. 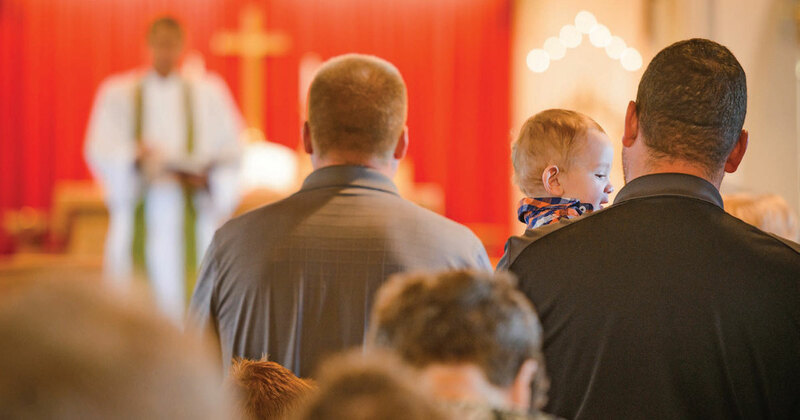 This issue of Pastoral Education highlights newly instituted changes in the Doctor of Ministry programs at both Lutheran Church—Missouri Synod (LCMS) seminaries. 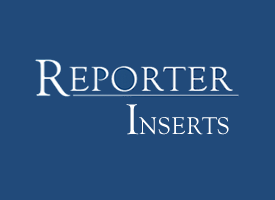 This a wonderful time for parish pastors to investigate the possibility of pursuing a D.Min. degree. 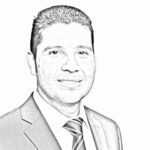 In this issue, you are provided information about the Global Seminary Initiative (GSI) of The Lutheran Church—Missouri Synod (LCMS) and the positive impact this program has on its students and the world. 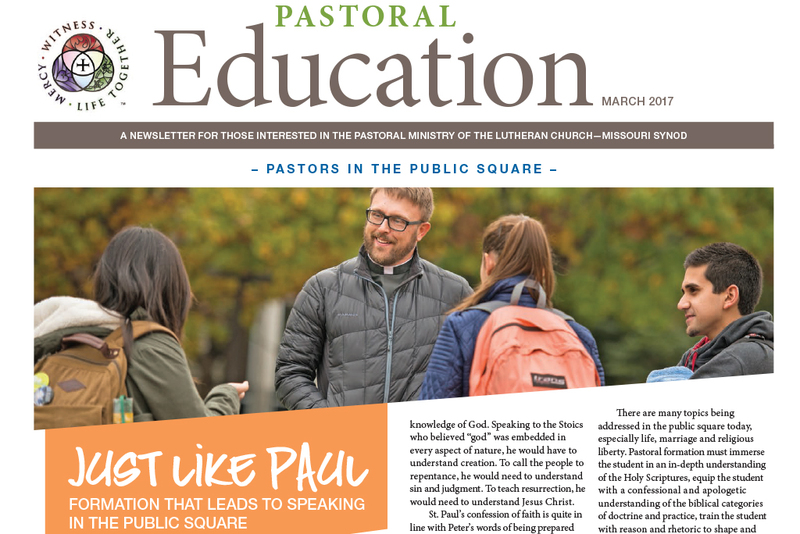 This issue of Pastoral Education explores life in our seminary communities through the fresh eyes of new students and their families. 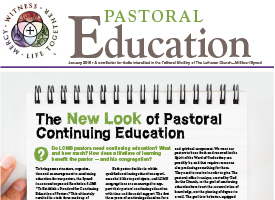 This issue of Pastoral Education highlights some of the continuing education opportunities available through Concordia Theological Seminary, Fort Wayne, and Concordia Seminary, St. Louis.